There will be no COLA for 2010 so the rates are the same as last year. K $96 Usually added to other rate or paid as the rate when percentage is zero. Rates for each school child are shown separately. They are not included with any other compensation rates. All other entries on this chart reflecting a rate for children show the rate payable for children under 18 or helpless. 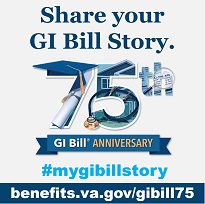 To find the amount payable to a 70% disabled veteran with a spouse and four children, one of whom is over 18 and attending school, take the 70% rate for a veteran with a spouse and 3 children, $ 1,513 , and add the rate for one school child, $168. The total amount payable is $1,681. Where the veteran has a spouse who is determined to require A/A, add the figure shown as "additional for A/A spouse" to the amount shown for the proper dependency code. For example, veteran has A/A spouse and 2 minor children and is 70% disabled. Add $95, additional for A/A spouse, to the rate for a 70% veteran with dependency code 12, $1,461. The total amount payable is $ 1,556.